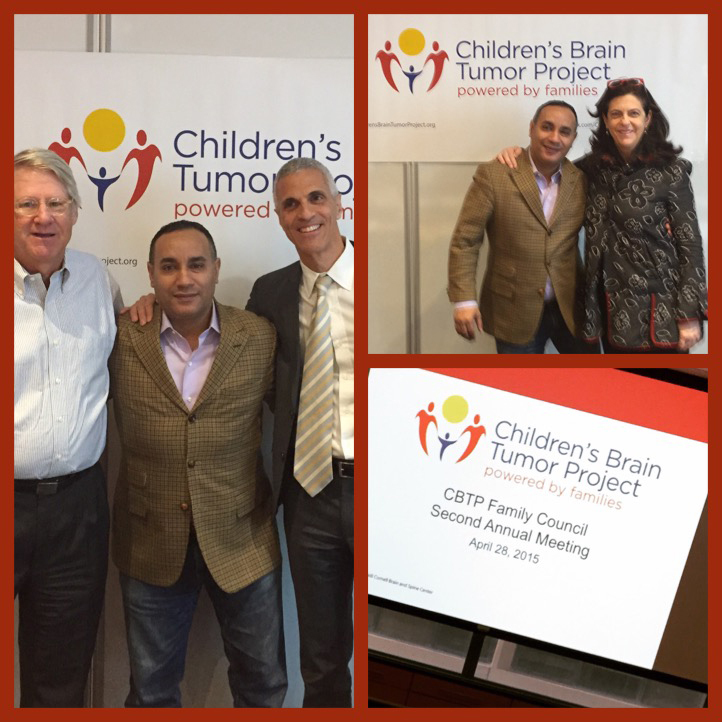 The Cristian Rivera Foundation who is one of the top donors of The Children’s Brain Tumor Project is proud to attend the Children’s Brain Tumor Project Second Annual Family Council Meeting Today Tuesday April 28th, 2015. It’s an honor to come together with other families and foundations who all share the same passion towards helping fund Dr. Mark Souweidane and all the other Doctors who work tirelessly towards finding a cure for inoperable brain tumors. 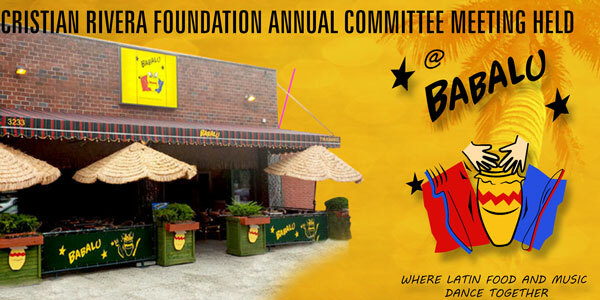 On Tuesday September 10, the Cristian Rivera Foundation hosted its annual committee meeting at Babalu Latin Restaurant in the Bronx. Committee members Aldo Marin, Andy Epstein, Anthony Mason, Carlos Keyes, Carlos R. Colon, Dennis Rodriguez, Dr. Ben Velasque, Dr. Manuel A. Moran, Elis Pacheco, Fred Garcia, J.I. Starr, Jeff Lavino, Karen Cerna, Katie DeFlorio, Kim Medina, Mark Rosner, Miriam Colon, Modesto Lacen, Robert Vazquez, Steve Cox, Tedsmooth, Tony Ferrara, Victor Martinez, Vito Bruno, William Padilla and William Pla were all in attendance, along with Cemi Guzman, who attended on behalf of Committee Member Luis Guzman. Strong supporters and possible new committee members of the foundation also came, including Molly Rokasy of News 12, Vianela Mejia, Anthony Lopez and Lenny Caro, president of Bronx Chamber of Commerce. Cristian’s Mommy, Jenelle Asencio, also made sure to attend the meeting via Face Time. The turnout was fantastic, with the majority of the Cristian Rivera Foundation’s esteemed committee members taking up half the restaurant as they dined on appetizers and talked about both where the Cristian Rivera Foundation is now and how they hope to help it grow more in the future. Committee Member Andy Epstein addressed the crowd, talking about the success of his Hoboken fundraiser last year, which raised $55,000, and he implored everyone in attendance to do a little more. “If everyone here gave $1,000,” he said, “that is $40,000 with no overhead that can just go straight to cancer research.” And as committee members heard that night, $40,000 can do a lot of good. Licia Hahn, a representative who works with guest-of-honor Dr. Mark Souweidane, told the group that $40,000 could add an additional five children to Dr. Souweidane’s clinical trial. Each child, she explained, teaches the doctors something new about DIPG and helps bring them closer to a cure. Dr. Souweidane’s trial has grown by leaps and bounds since the Fourth Annual Cristian Rivera Foundation Celebrity Gala. At that time, he had just operated on his second patient; today there have been nine children admitted to the trial. Dr. Souweidane explained to everyone exactly what his trial is testing and what they have learned about DIPG as a result. “Without the support of the Cristian Rivera Foundation, I can honestly say we would not have been able to proceed with this trial,” he said, eliciting applause. Committee Member Anthony Mason was particularly moved, telling his fellow committee members that he is a father of four and no parent should ever have to bury their child. He and Committee Member Elis Pacheco echoed the sentiments of Andy Epstein, saying there is “safety in numbers” and if we all did a little bit—whether that is donating money or simply telling people about the foundation and raising awareness—we can reach our goal of finding a cure.